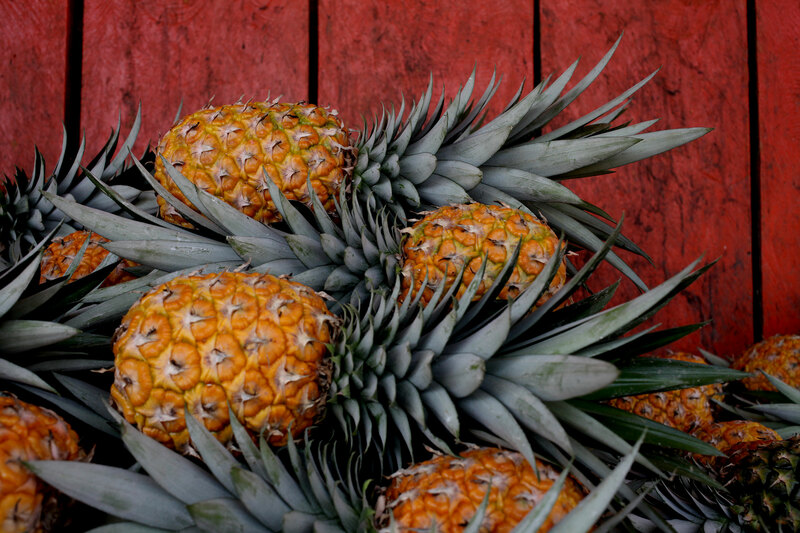 One of the tidbits of knowledge that Ceasar (Alex’s cousin) passed onto us, well mostly for me, was that the country between Tuxtepec and Villahermosa could be considered the Land of Pineapple’s. Through Alex’s translation for me, he said something akin to “pineapples as far as the eyes can see” with a motion of the arms encompassing a wide circle. 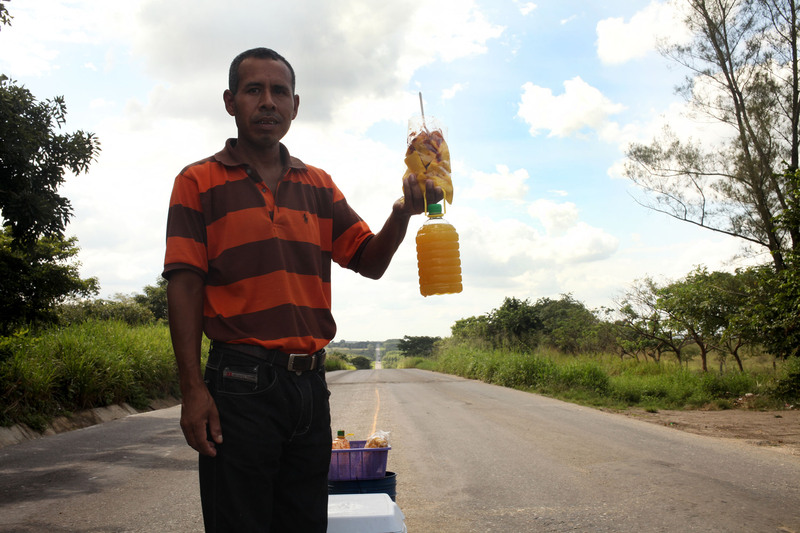 Once we had chosen the northern road out of Oaxaca, it was predetermined for us that we would pass through the land of piñas (where you could get a bottle of fresh squeezed juice for a $1.00). Getting a later start than normal to the morning, we headed out of Tuxtepec, at fifteen miles an hour. Tuxtepec is not the center of the universe in Mexico, and once you get on the back country roads and highways of Mexico, they run right through towns, literally. The way that they ensure the safety of the people in those towns is to construct topes (speed bumps) of varying sizes and inclines. Alex hit one of these going out of Oaxaca hard enough to make her think that she might throw-up. Anyway, going along to Villahermosa was filled with tope after tope, which makes for tiring driving as you never really get up to cruising speed for long (plus if you don’t see the tope, it can make for a jarring experience). After stopping for some breakfast/lunch, Alex had me lead for a while and gave me instructions to stop at a pineapple stand that looked good. We got about fifty miles down the road, and I started sweating thinking I had missed the last one, when all of the sudden, like an oasis in the desert, a stand appeared in the distance with more pineapples than you can fathom. Women stood in the road selling bottles of sweet, golden nectar while an older husband and wife stood in a shack on the side of the road crushing pineapples. I knew this was the place, the land of the piñas, and we pulled over, took our jackets off and picked up a bottle of fresh pineapple juice for a mere $15 pesos. It made the moment even more poignant. Sitting in the shade, the sun high in the sky and burning, the juice was as sweet and tangy as I had hoped, and it fueled us better then any Gatoraid could have (I am sure it had more sugar then two cokes together, but it was delicious). 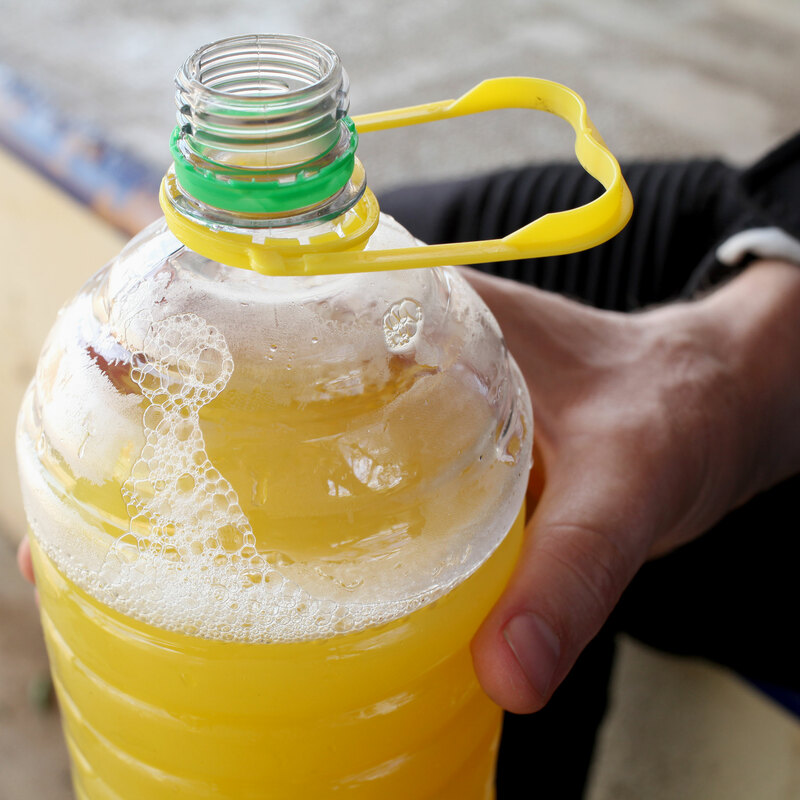 With our thirst quenched, we continued on toward our goal of Villahermosa. About fours hours into the riding of the day, the tope spotted landscape gave way to toll roads of US quality freeway status and we started to gain some distance. 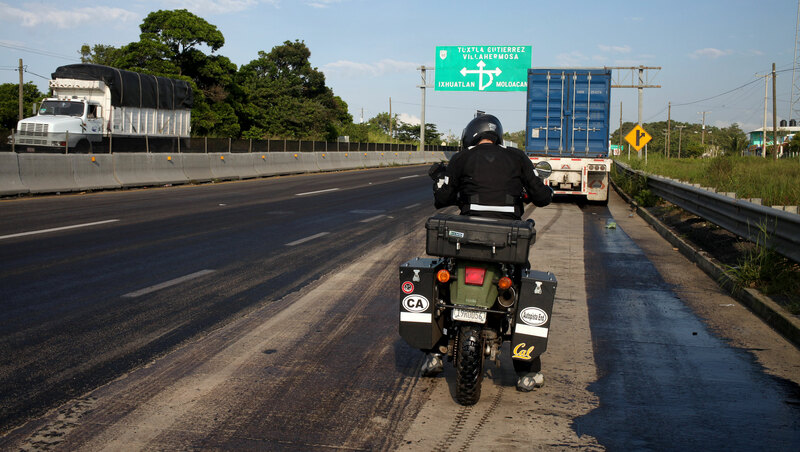 We stopped for gas about an hour out of Villahermosa, and as we started to exit the Pemex (which I think are the only real gas stations in Mexico) I saw the sheen of water on the freeway. Not thinking too much of it, we both continued over it, and that is when I grasped our mistake. Alex made it across but as soon as my front tire hit the liquid, I began to skid and to my horror realized that the substance was oil. As in all life situations where you brush against true adrenaline producing moments, time slowed down and I remember thinking clearly that I wasn’t going to be able to keep the bike up, that I was going down. The next thing I knew I was on the ground, and then I was up again, my muscles moved faster then I could think, and I was trying to lift my bike up, slipping in oil that covered a wide expanse of pavement. Luckily for me a guy came running up and offered a hand to get the bike up (Alex was able to stay upright, but couldn’t park her bike in the mess) and helped me get it over to the side of the road ahead of Alex. I thanked him as he ran off, maybe he was a guardian angel because he was gone even as quickly as he had shown up, and I assessed the damage. Other then some new scrapes to the panniers and my handle bar protecters, the bike was no worse for the wear. Even a couple days removed, my heart still starts pumping when I think about this, but thankfully we were both going slow, and there hasn’t been any lasting damage to the bike (it fired right up once we got the situation under control). Furthermore, there was no bodily damage, I was completely protected by my equipment, I wasn’t trapped under the bike (thanks to the panniers), and the riding gear has paid off in my opinion. I now know what riding in oil is like, and I avoid substances on the road, even if they look like water just to be safe. We barely made it to Villahermosa in the last lingerings of the day, and with heavy traffic leading into the city, pulled off at the first decent looking roadside motel for the night. If it wasn’t for the piña juice I might not have made it. The next day was more riding, heading north, I distinctly remember getting the smell of salt in my nostrils and knowing that the ocean was near. I grew up in Santa Cruz, and while I may not have appreciated it then, the sea has a claiming effect on me that makes everything feel right with the world. 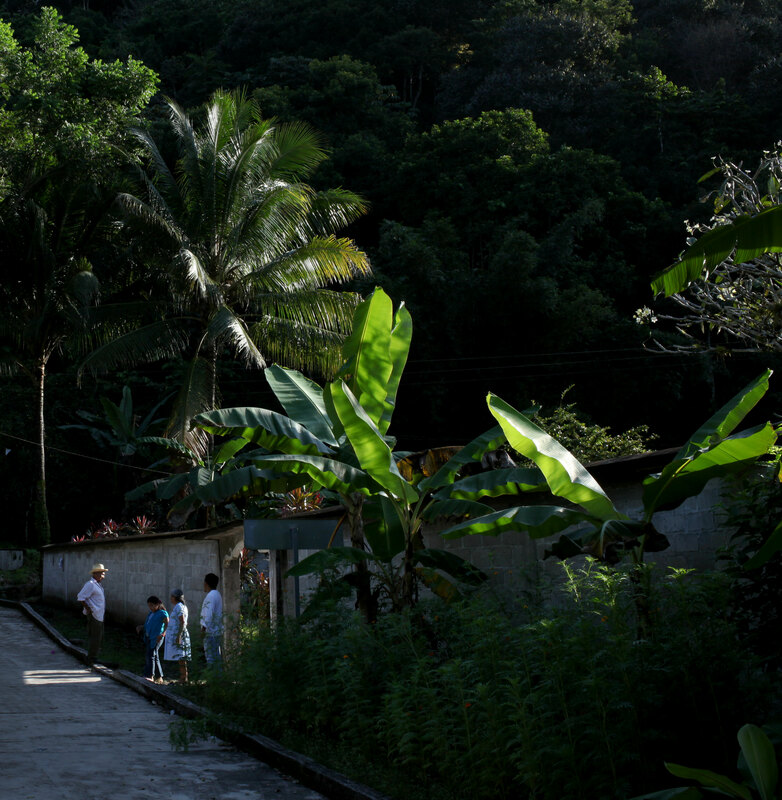 We rode the whole day, along coasts lined with palm trees and fisherman. The final rays of the sun were fading over the water as we rode into Campache. It is the capital of the state and you can feel the forced jubilance it emulates for tourists in its historic district. For us it was just a hotel room, a warm shower, and a place to hang our helmets for the night. I am sure it is an amazing town, but we wont know on this trip. Our days in Mexico are numbered, tonight we are sleeping in Merida and we plan Chichen-itza and a cenote (sinkhole) in the coming days, more adventures to come. Happy your mishap was minor and that you both OK, it makes for a memorable learning experience. I’ve had a few oil related situations myself. Those Topes sound like a real pain, most speed bumps here are geared for 4 wheel vehicles and have a center opening which is easy for a motorcycle to just pass through. Wish you a continued enjoyable and safe journey, keep the great posts coming. Finally getting caught up on the last few posts I have missed. OMG this post started sweet, got harry in the middle and as the sunset of your words tailed off I could sense the closing chapter of this leg of the trip. So glad you’re ok. My heart rate went up as I read and cant imagine the sensory overload that gripped you when it was happening. Keep it safe you two!